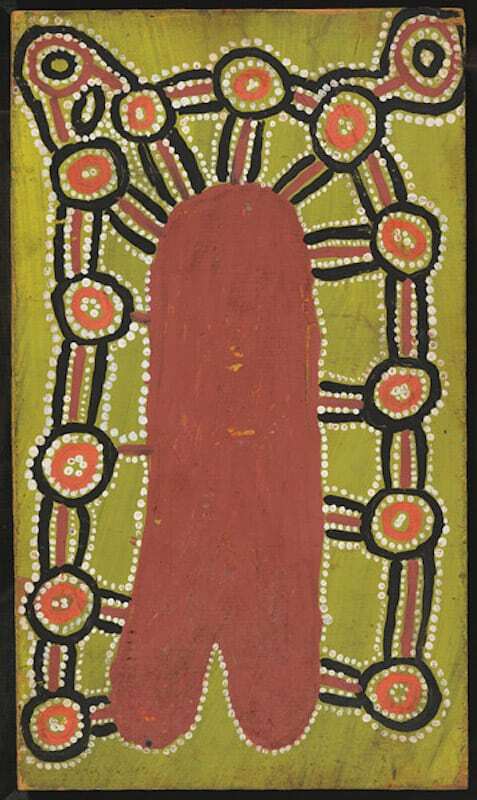 The aim of this article is to assist readers in identifying if their Aboriginal painting is by Yuta Yuta Tjangala . It compares examples of his work. 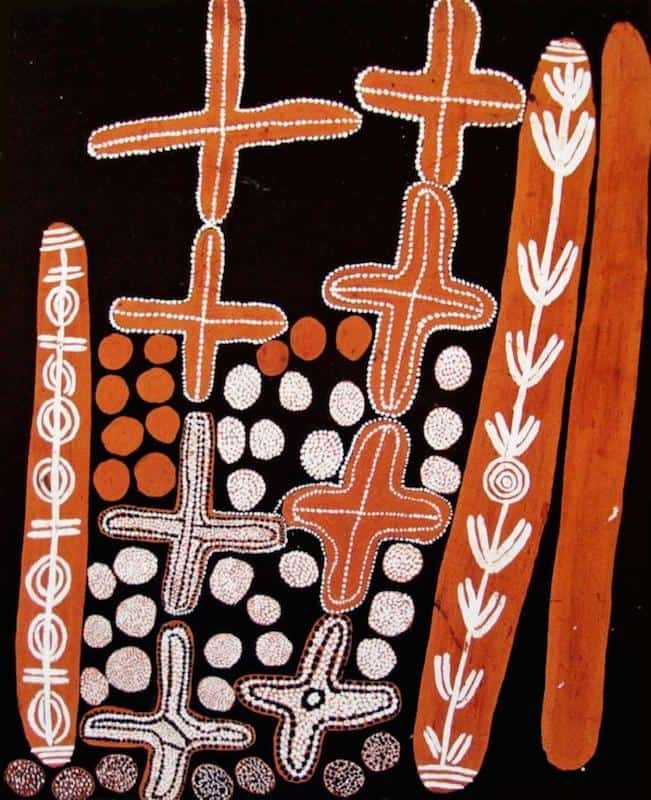 If you have a Yuta Yuta Tjangala Aboriginal painting to sell please contact me. 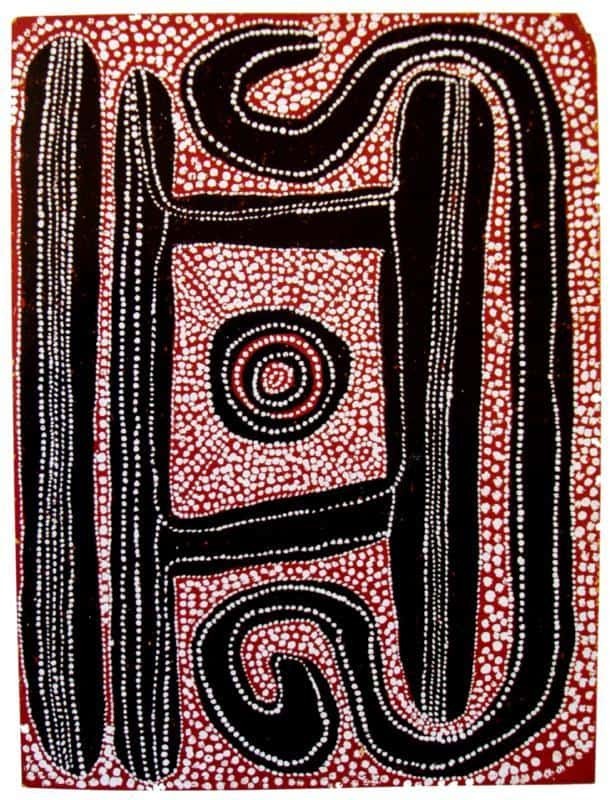 If you want to know what your Yuta Yuta Tjangala painting is worth please feel free to send me a Jpeg. I would love to see it. 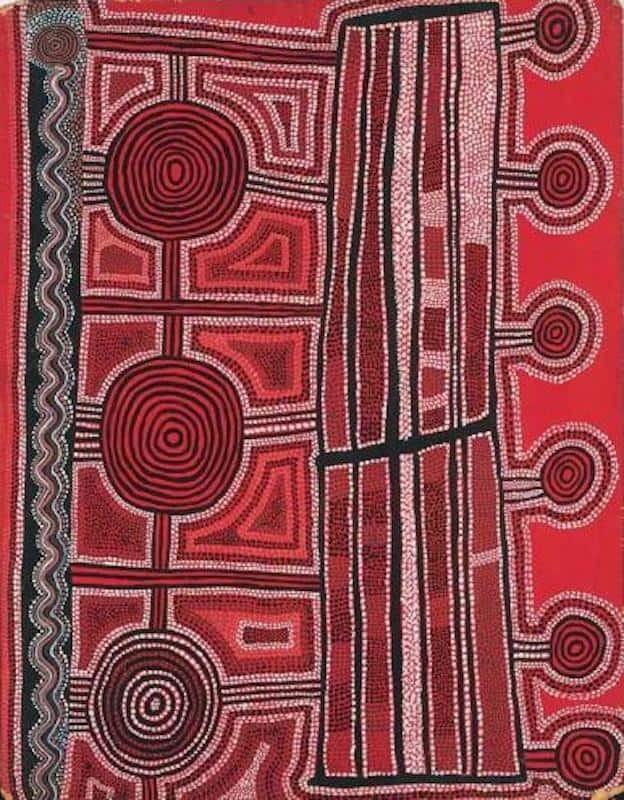 Yuta Yuta Tjangala was born around 1926 in Western Australia in Drovers Hills. He made an epic journey to Haasts Bluff with his family during the severe drought of late 1950’s in the company of Charlie Tarawa. In 1957 Yuta Yuta moved back to Haasts Bluff with Timmy Payungka and his wife and child. 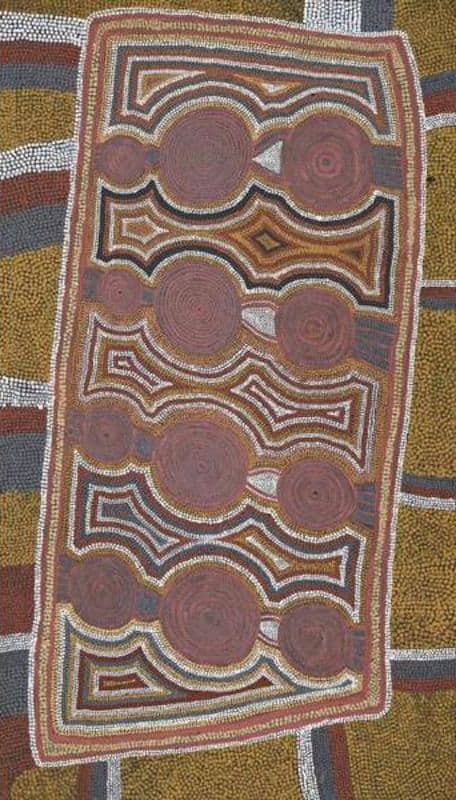 When supplying paints to Uta Uta and his friends, Bardon suggested the men use their existing cultural symbols and depict their Dreamings and links to the land. Yuta Yuta’s painting career and reputation began at this time. He was a founding member of a men’s painting group. 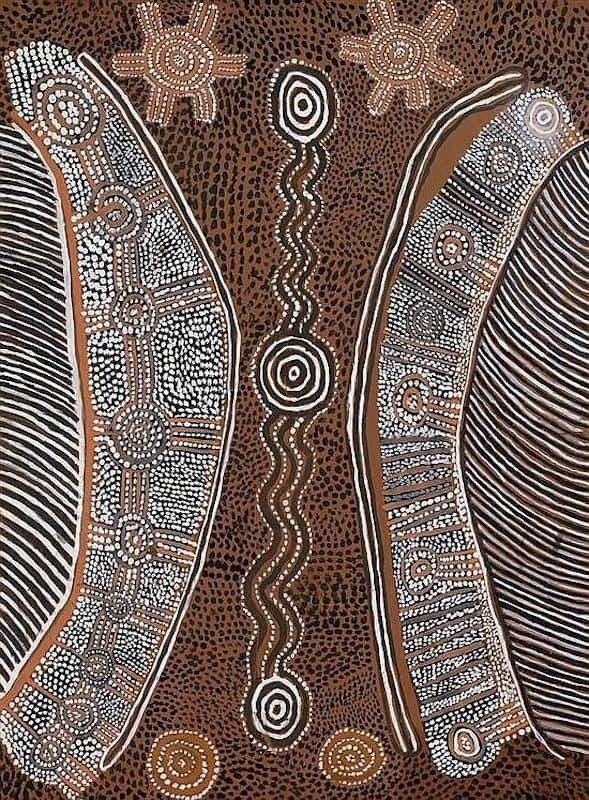 Being a senior Pintupi tribesmen he and Charlie soon inspired other Pintupi tribesmen like Shorty Lungkarta and Yala Yala to join them. Uta Uta’s earliest works generally featured major story elements with only the barest dotted in-fill within the iconography and small sections of the background. Paintings with clean unadorned background are more popular with collectors. They feel stronger and more powerful. Yuta Yuta was influential in helping the painting group break through cultural constraints. Yuta Yuta was highly respected and had an exciting and charismatic personality. This along with a bold and dynamic painting style played a vital role in these developments. Despite the popularity of his earliest works, I think Yuta Yuta flourishes in this middle period. 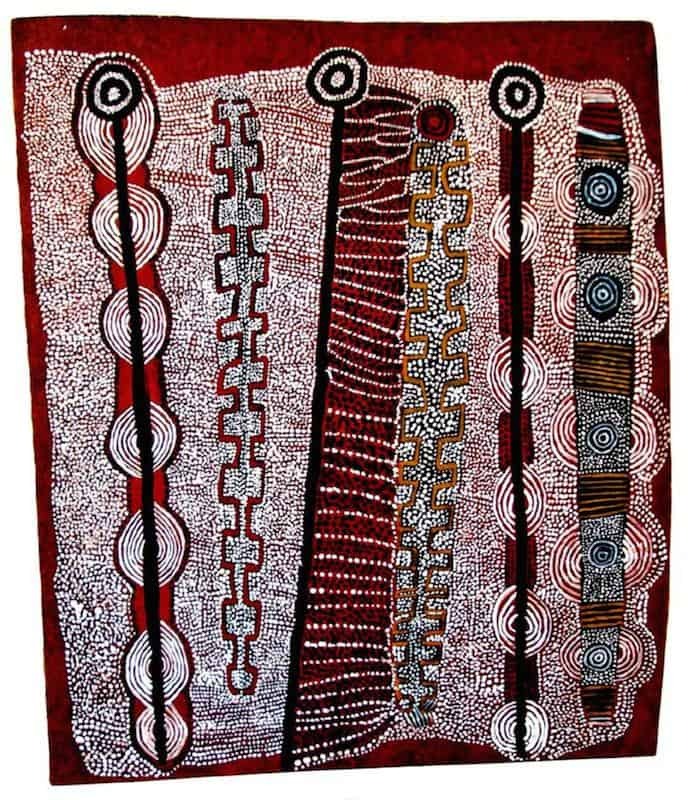 In the early 1980’s, Oata Oata Tjangala completed what was to become one of the most important and revered works of the entire Western Desert art movement. 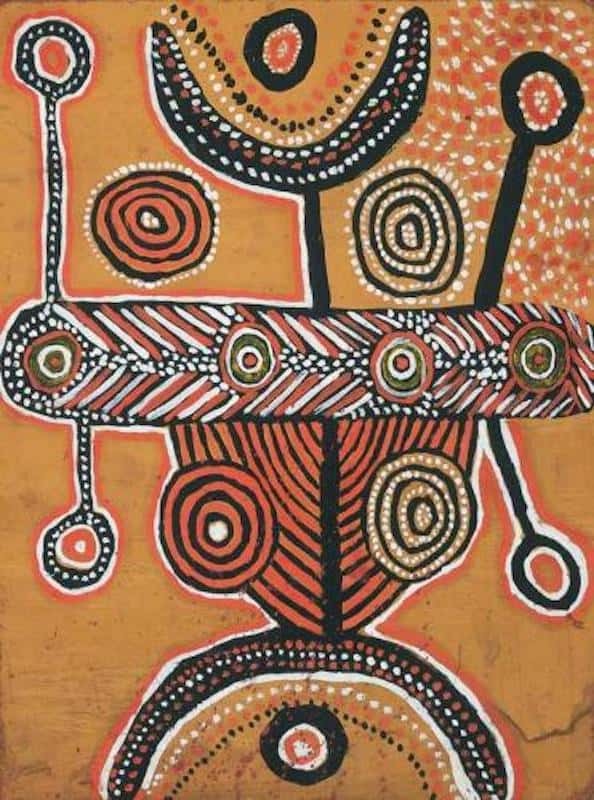 He painted Yumari 1981, his largest and most significant painting. Yuta Yuta developed a style that censored the more secret and sacred content in his painting, He added more dot-work as the years went by. Yuta Yuta was to be amongst the first to resettle in his homelands. He set himself up with his family on a small outstation west of Kintore. 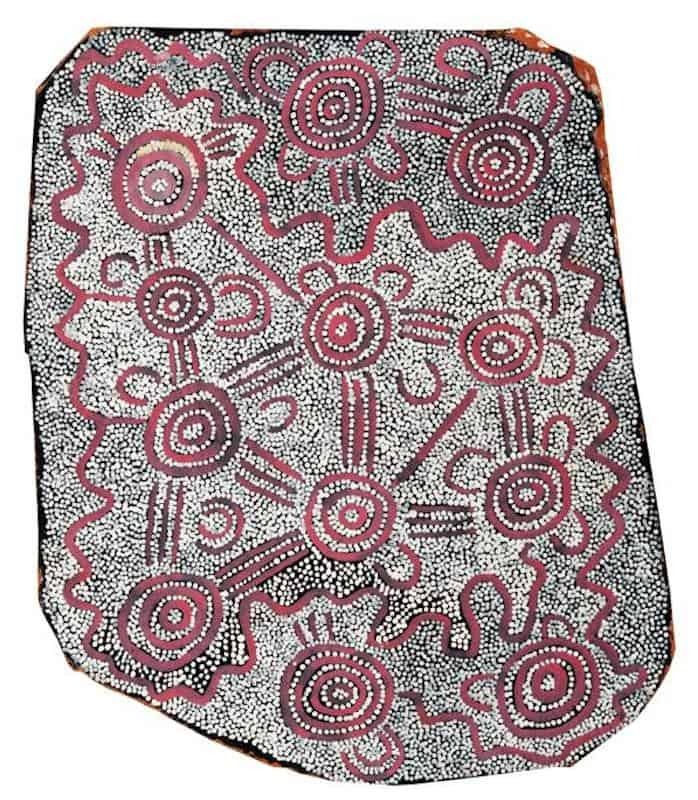 Many of Uta Uta offspring and immediate family became artists. They included his wife Walangkura Napanangka and their five children including Shorty Jackson. 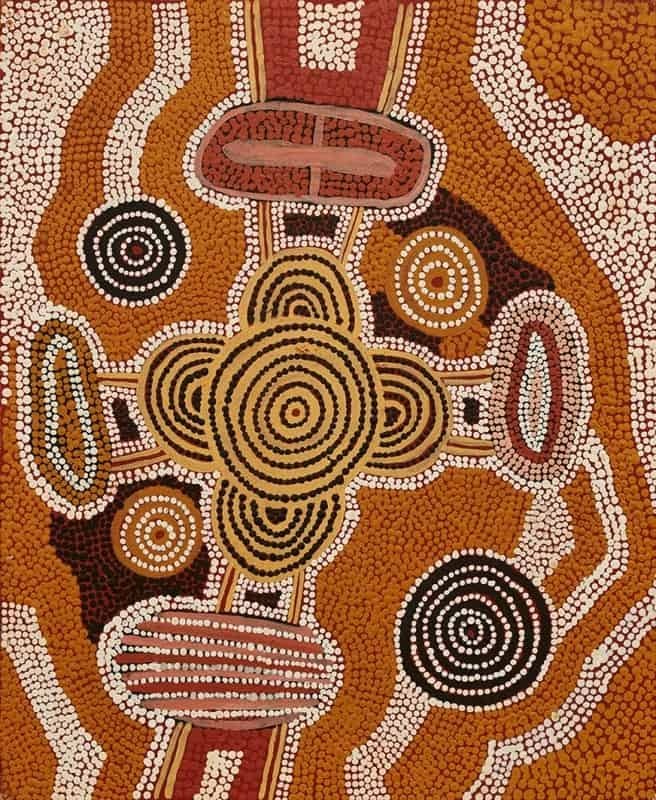 Uta Uta died in 1990 but his art continues as a strong influence on Western Desert art. 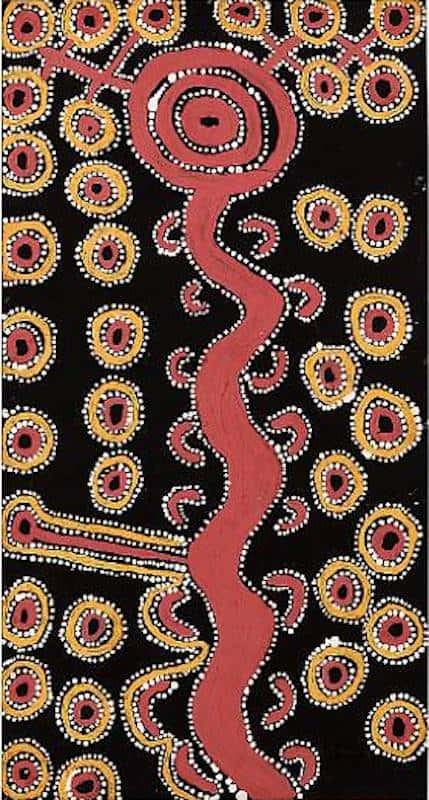 Tjangala his skin name varies in spelling and his name can be Yuta Yuta Tjungala, Yuta Yuta Djangala or Yuta Yuta jangala.